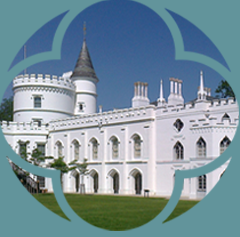 Famous for marrying four times and saving Strawberry Hill House from ruin, Lady Waldegrave was as empowered as she was eccentric – a worthy successor to Horace Walpole’s legacy. Born in 1821, Lady Frances Waldegrave (née Braham) inherited Strawberry Hill House through marriage to John Waldegrave, the grandson and successor to Horace Walpole’s great niece, Elizabeth Waldegrave. Following John’s death in 1840 after just one year of marriage, Lady Waldegrave went on to marry his brother, George, the Seventh Earl Waldegrave, thereby maintaining her link with the House and title of Countess Waldegrave. Within seven months of this marriage George was sent to prison for ‘riotous behaviour’, a decision made by the Twickenham Bench that embittered George and resulted in his arrangement of the Great Sale in 1842, a reproach to the ingratitude of Twickenham. 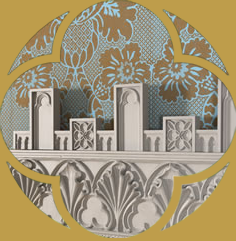 Walpole’s precious collection was dispersed worldwide and Strawberry Hill House was abandoned. Yet after George’s death in 1846, Lady Waldegrave was left a substantial income, and ten years later, in 1856 after her third marriage to George Granville Harcourt, she put her ambitions to secure Strawberry Hill House’s future into action and expanded the House. 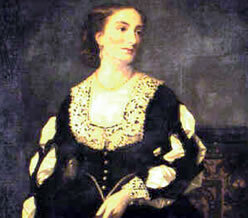 Marrying again in 1863, this time to Liberal Minister under Palmerston and Gladstone, Chichester Fortescue, Lady Waldegrave became a renowned hostess, entertaining the Prince & Princess of Wales and the Liberal establishment. When Lady Waldegrave held a party, contemporaries report traffic jams all the way from Twickenham Station.